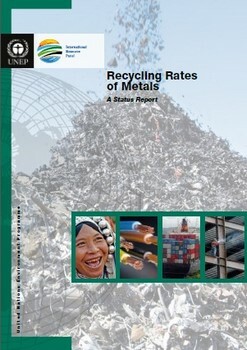 This report summarizes the results of the Global Metal Flows working group of UNEP’s International Panel for Sustainable Resource Management (Resource Panel) as it addressed metal recycling rates. It will discuss definitions of different recycling statistics, review recycling information, identify information gaps, and discuss the implications of our results. The goal was to summarize available information (rather than to generate new data), highlight information gaps, and to fill these gaps through informed estimates.